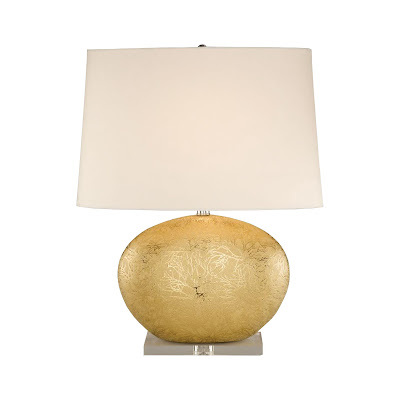 We are seeing a captivating, glamorous trend this winter with metallic highlights of warm gold and the "bling" of silver in coastal home decor! 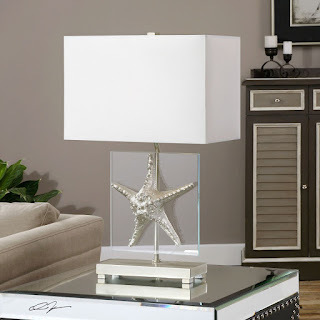 This is a look that we feel will continue to grow in popularity, and we will be seeing many more options for decorating a beach home. I think you might be surprised at how adding just a little touch of silver and gold can really make a room come alive with a luxurious feel. Just keep it coastal-modern and in layer with moderation for the best effect. What do you think? 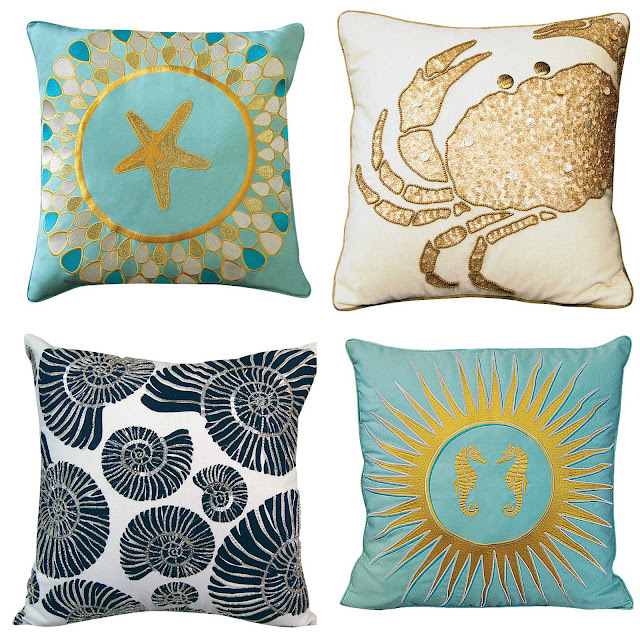 Enjoy 10 of my curated beach house decor picks! Luxury with a touch of the shore. These pillows would be fabulous at the holidays, but can stretch into the spring and summer with the detailed embroidery, seaside colors and lux feel. More in our "Sparkle" category! 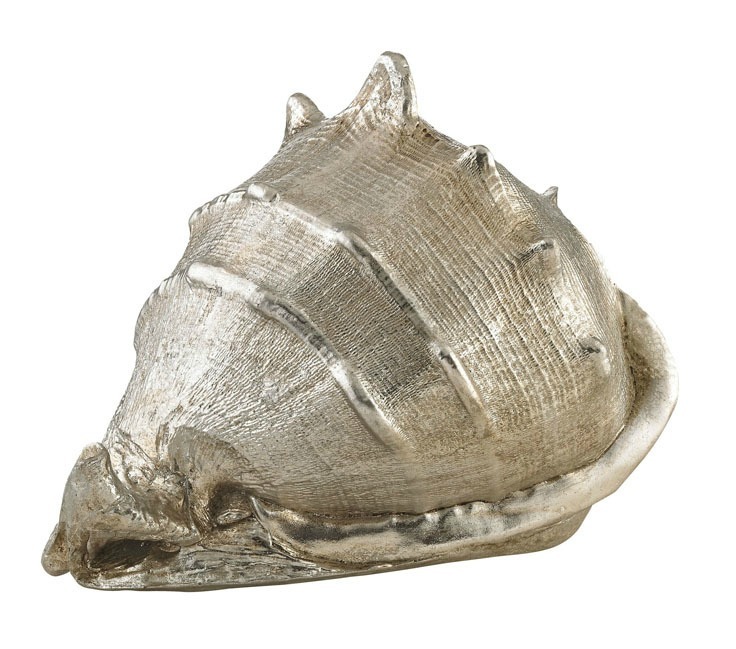 This glamorous champagne silver ceramic large cameo shell adds style and coastal luxury to any home! A wonderful statement piece to add interest on a foyer table or a bookshelf. We have several more options for silver and gold shells on our site - just try our "Coral and Seashell Decorating" category for ideas. 3. 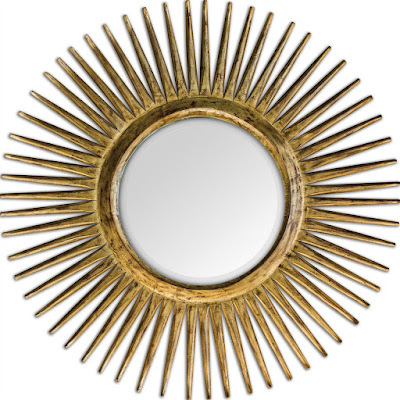 Can't go wrong with a Gold Sunburst Mirror Accent! Need a little glamour in your coastal living home? 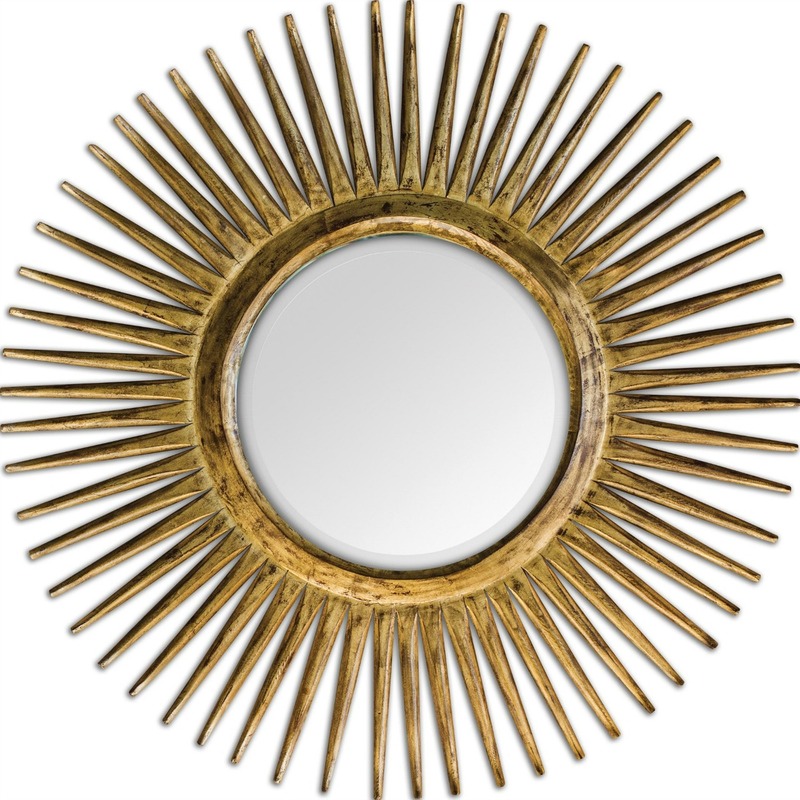 We recommend adding this fabulous Gold Sunburst Mirror! Gorgeous over your fireplace mantel or to greet visitors in your beach house entry way. 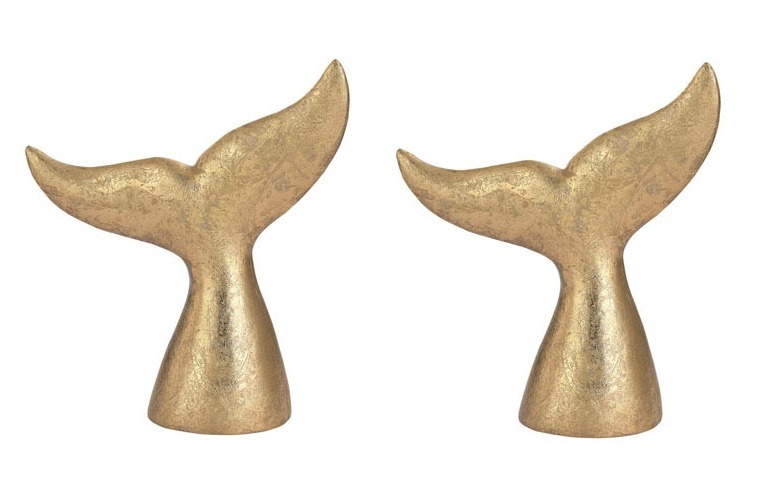 Cause you all know, I just can't get enough of the "Whale Spotting" trend! Add a simple touch of coastal luxury to any room with this set of two golden whale tails made of heavy metal and finished in a gold leaf. 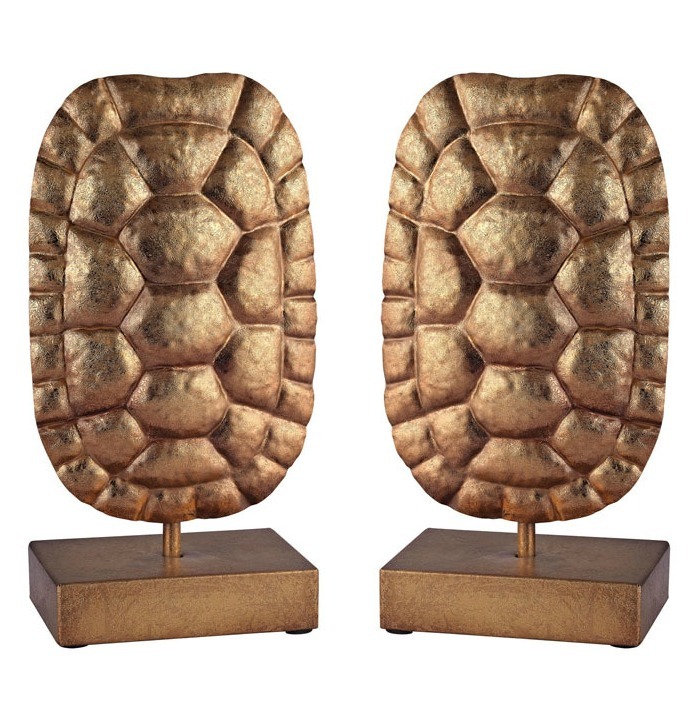 Classic elegance radiates through these two golden imitation turtle shells mounted on stands, adding a luxurious coastal touch to any home! We especially like them because they are stunning, and NOT real. 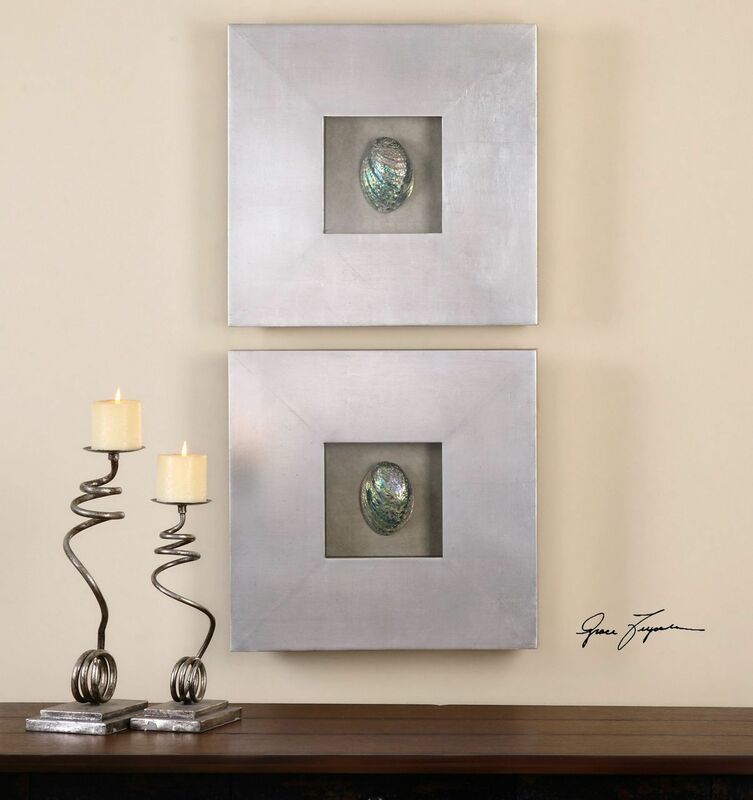 A silver leaf shadowbox frame encases these colorful natural abalone shells. 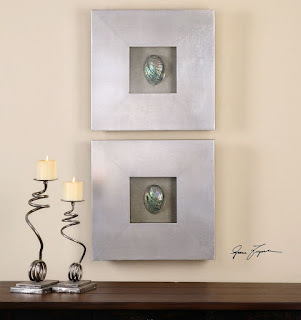 A captivating shell wall decor piece to add to your coastal home! 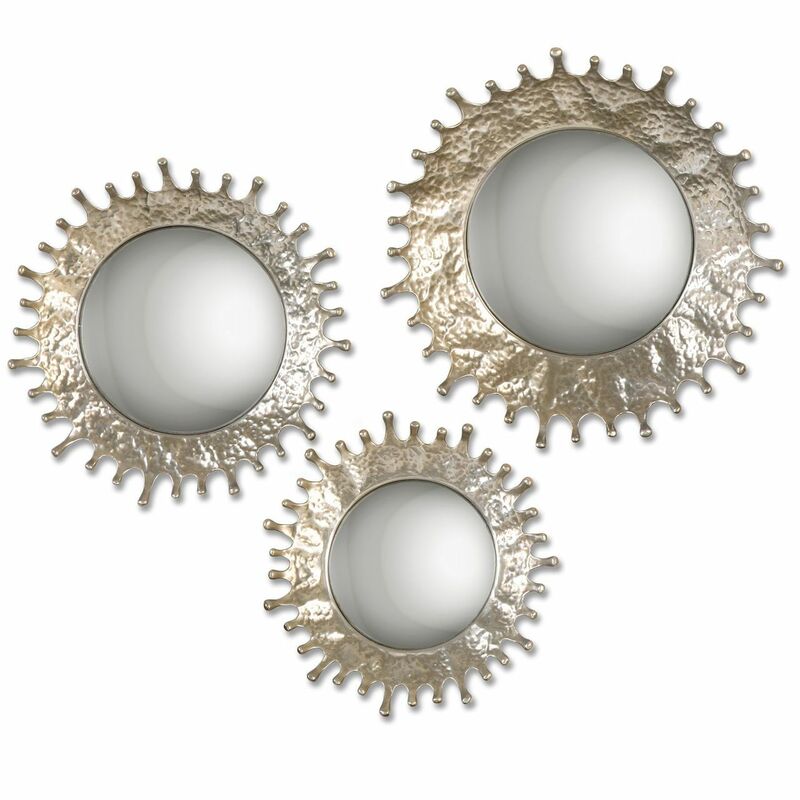 This set of three convex, sun ray shaped mirrors will add a touch of glam and whimsy into your home with their hand forged hammered metal and plated silver champagne finish. Love this set - like large sea splashes! 9. Gold Oval Ceramic Lamp - NEW! 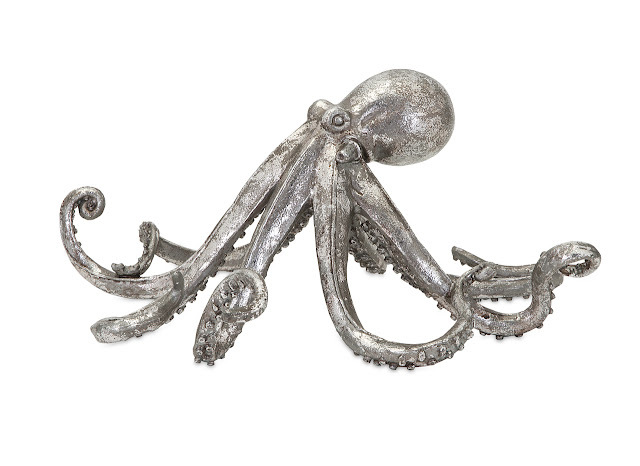 What coastal decor list would be complete without an octopus? This little sculpture has been so popular that we will see it's golden cousin this spring! We will be heading to the home decor and furniture shows in January - can't wait to see what other gold and silver treasures we will find for our customers. Stay tuned!